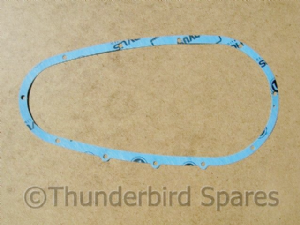 This is a good quality primary chain case gasket to fit the pre-unit 500 and 650 Triumphs which had the "short dynamo" chaincases ie 1954-1959 (all models with the swing-arm frame and a dynamo ). Please note they don't fit the engines fitted with the rigid frame " long dynamo" type cases prior to 1954. 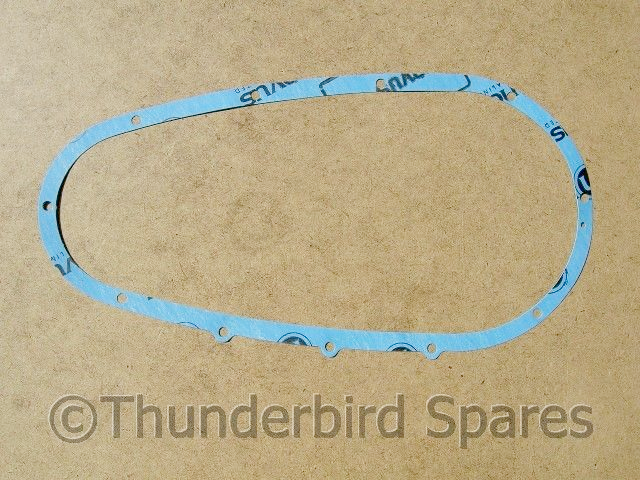 The colour of the gasket can vary from the photo. Part number T1189 (later 57-1189).